The Retractable Cord Reel provides a handy and durable power cord storage solution that gives you convenient temporary access to power and ultra-clean storage capabilities. 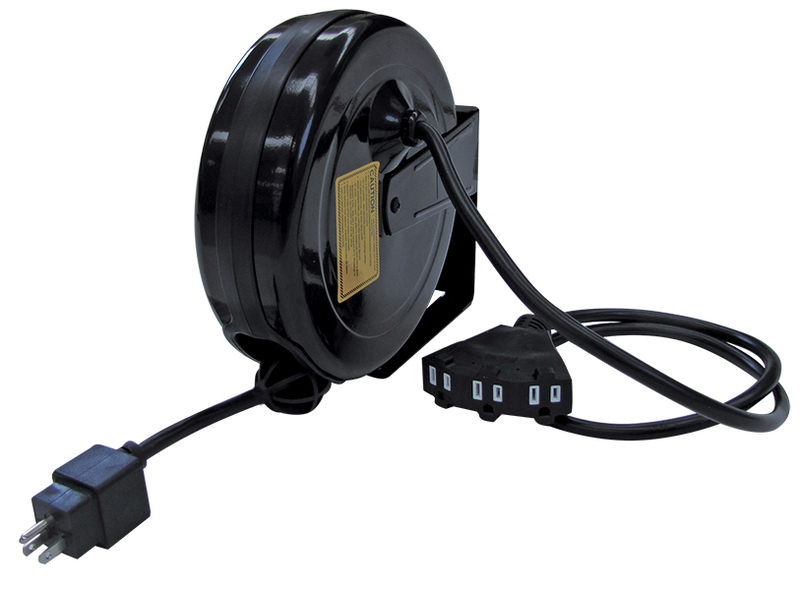 The Retractable Cord Reel has a 12 AWG, 15-foot retractable power cord with molded 3-prong male plug that includes a 15-amp breaker and reset button. The other end has a 3-outlet, tri-tap receptacle ready to meet your power needs. The cord easily rolls off the reel to where you need it and it reels back on just as easy. The adjustable ball stop and releasable cord-locking ratchet hold the cord at any length up to 15 feet. 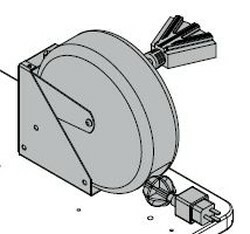 The Retractable Cord Reel is UL Listed and cUL Listed. 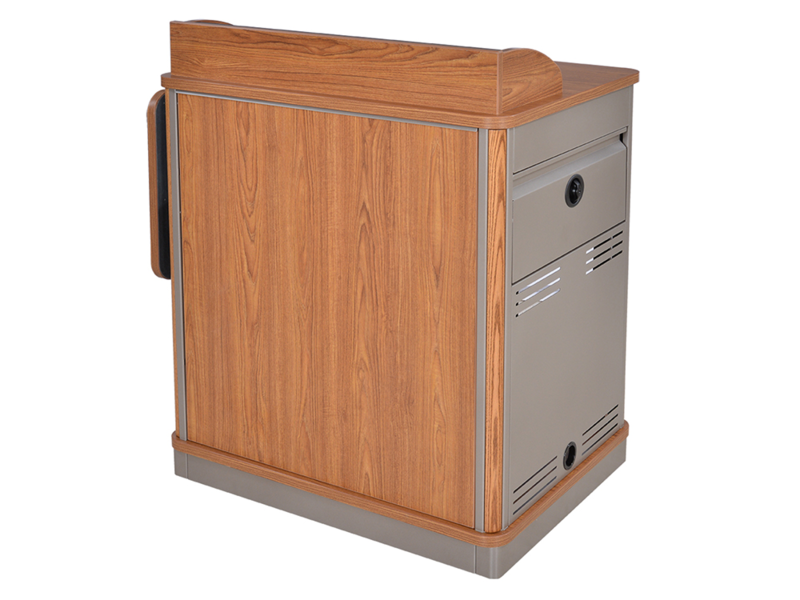 The Retractable Cord Reel (Model 99029) comes with a small mounting bracket to attach to select Spectrum lecterns. 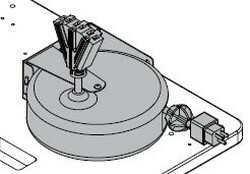 The Universal Retractable Cord Reel Kit (Model 99037) includes a universal mounting bracket to mount to most Spectrum lecterns. Warranted to be free of all defects in materials and workmanship with a 1-year warranty.